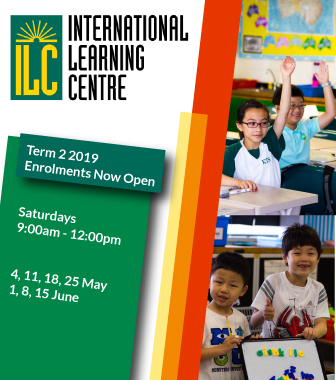 We are now at the halfway point of Term 4 and our Year Six students have already enjoyed so many memorable experiences. 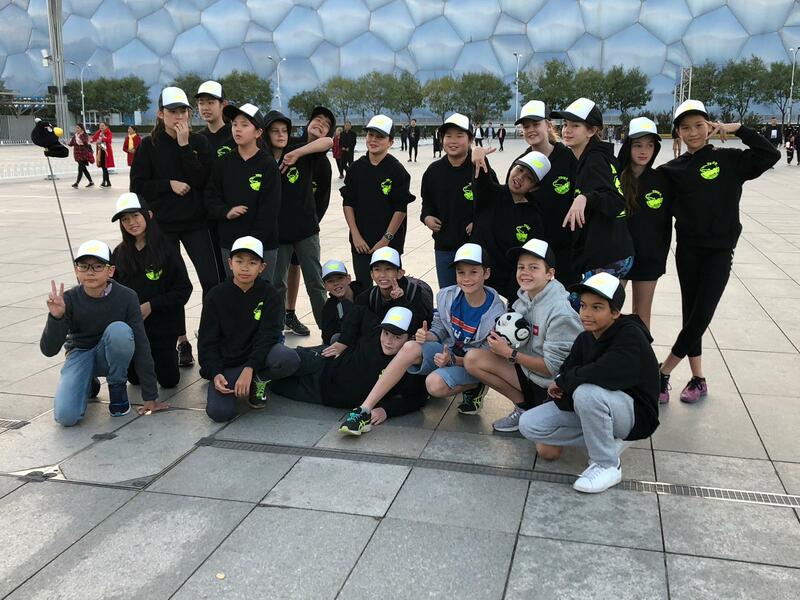 Now fully settled back in to school life after our wonderful trip to Beijing, we have already begun to think about upcoming events, starting with our ‘Yellow Brick Roadside Diner’ at the school fair tomorrow. As always, it promises to be one of the highlights of the fair and we look forward to seeing you at the diner for a cup of tea and scone! Thank you to all of our parents for the support you have given us with this event. This week, our students also had the opportunity to sit-in on a Secondary Assembly. As well as being a good transition experience, it was a great opportunity for them to watch the Secondary Debating Finals. They were able to see how a debate is structured and also how to put forward compelling arguments. This will hold them in really good stead for our own debating festival, which will be happening towards the end of term. What a wonderful week we had in Beijing taking in local cultural sites such as the Temple of Heaven and trying famous Beijing delicacies such as Peking Duck. Students have now begun work on their Beijing projects which they will look forward to sharing with you later in the term. We will also be sharing a selection of learning from this term in our Year Six Assembly during Week 8. Until then, please enjoy this recount of our fabulous week in Beijing, written by Anna Jerdan (6D). Two weeks ago I went to Beijing with my whole year level on a cultural tour! There was lots of excitement as the day got closer and closer and then… it was Sunday. Even the bus ride to the airport was fun, everyone was discussing what we were going to do. We all watched movies and played games on the plane, a couple of us even fell asleep! When we arrived at the hotel we were all tired and had the buffet dinner provided. We went to bed early, knowing the next day was busy. We each had bus groups, my room buddies (Hazel and Jiyana) were in my bus group, whose tour guide was Glenn. He would sing us songs every morning! On Day 2 of our trip (Day 1 of sightseeing) we went to the beautiful and exquisite Temple of Heaven as well as the Hongqiao markets (I spent nearly all my money, but got something down from 880 yuan to 50!!). In the afternoon we visited the Beijing hutongs and rode around in Rickshaws! Hutongs are very narrow streets and they first sprung up in the Yuan Dynasty (1271). In the Hutongs we got to visit the world famous cricket master! He had all this special equipment and the crickets even had a house, he used the crickets for fighting, a sport that originated in 623. He uses a stick with animal hair on the end to guide the crickets. He also had Grasshoppers that could sing, we got to hold them! On Day 3 of our trip (Day 2 of sightseeing) all of the buses went to the Great Wall of China! We had lunch at the top and as I looked down, I could see the wall slither over mountains like a sea serpent sliding over waves. It’s bricks were like the scales of one too and the huts every 200 metres were like sharp spikes on the back of the serpent. The first complete section of the Great Wall built was in 221 BC! The Wall was used to protect China from the Mongols who rode horses. In the afternoon we all went to see Olympic park and took some funny picture stories! On Day 4 of our trip (Day 3 of sightseeing) our bus went to the Summer Palace, we learnt about Buddhism in China and got to see all the exquisite paintings along the long corridor. Glenn taught us the meanings of these paintings and how they relate to Chinese culture. For lunch we cooked our own meal at a cooking school, we made black sesame pork, dumplings and even savoury Chinese pancakes! In the afternoon we went to a museum and after our Chinese dinner we went to the Peking Opera. 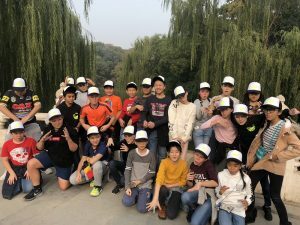 On Day 5 of our trip (4th and final day of sightseeing) all buses got to meet our Chinese pen pals at their school and join in a lesson with them. I did social studies and we debated about whether or not it was rude if you were an exchange student to say you didn’t like the family’s meals. It was fun! We had Peking Duck for lunch, it was delicious and crispy, even just thinking about it makes my mouth water. In the afternoon, our bus group got to see Tiananmen Square and the Forbidden City. Did you know that Mao Zedong’s portrait weighs 1.5 tonnes! It even has to get replaced each year, It must take a long time to paint it! 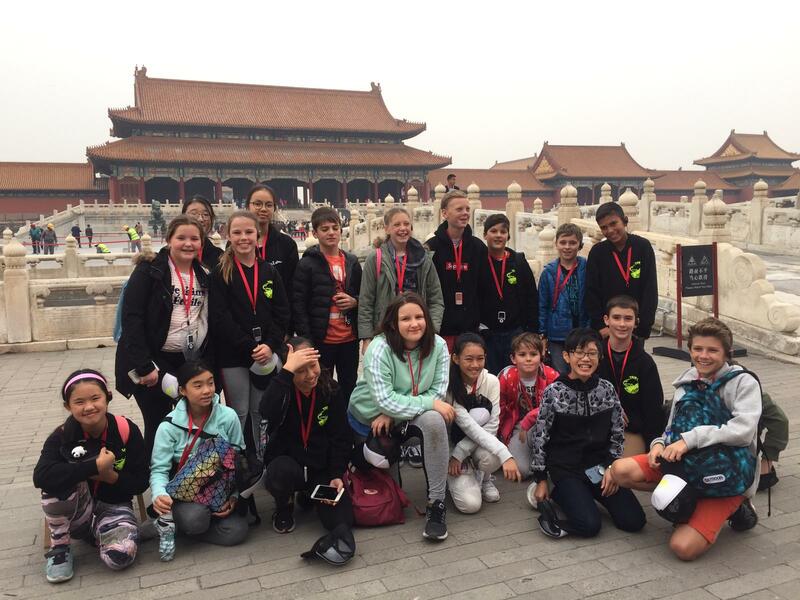 In the forbidden city we learnt that on some of the roofs of the palaces and buildings had auspicious animals, and the biggest building was struck by lightning twice and burnt. The Chinese were very superstitious and thought that the god of weather didn’t like the building, so they put another wooden statue of him behind the animals and it worked, that building was never struck by lightning again! It was interesting! That night we went swimming. We have had a discussion about the theme with the girls and boys and basically they can wear whatever they feel comfortable in. During the evening, we will provide dinner, soft drinks and entertainment for the students on the Rooftop Garden (weather permitting). The party will begin at 6:00pm and concludes at 8:00pm. Parents also have an opportunity to get together on the Sports Terrace while your sons and daughters ‘boogie’ on the rooftop overlooking the gorgeous backdrop of Hong Kong Island. Your Class Parent Representatives will be in contact with you in the coming weeks to provide more details about the parent get-together. It is a fabulous night for the Year 6 cohort and their families so please save the date in your diary. Every year, we create a ‘Then & Now’ slideshow for our students, which is shown on Speech Day. To be able do this, we need a baby or toddler photo of each of our Year Six Students. When possible, please can you help your son or daughter to select a photo they like, which can then be submitted (a scanned or digital copy are both fine) using our Year Six Google Classroom. Thank you for your assistance in creating this wonderful slideshow of memories for our students.